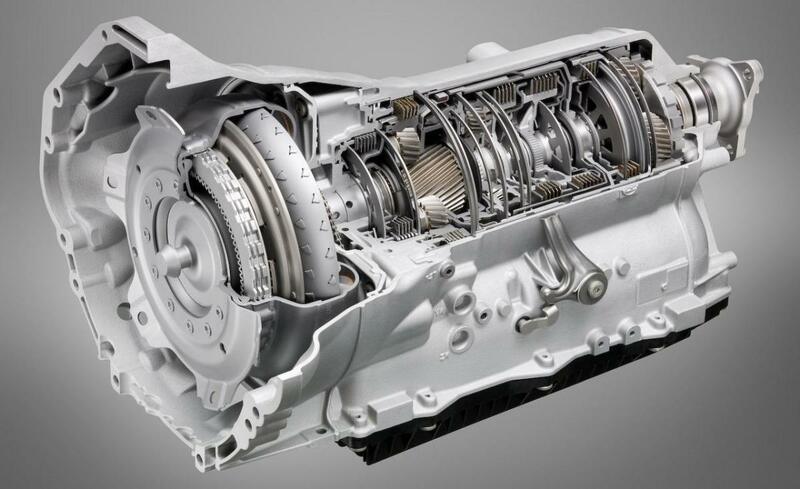 The ZF 6HP automatic transmission is, by all accounts, a great gearbox. It’s smooth to run, as fuel-efficient as one could hope for from transmissions of this time, and capable of handling the stresses put on it by higher end vehicles of all shapes. 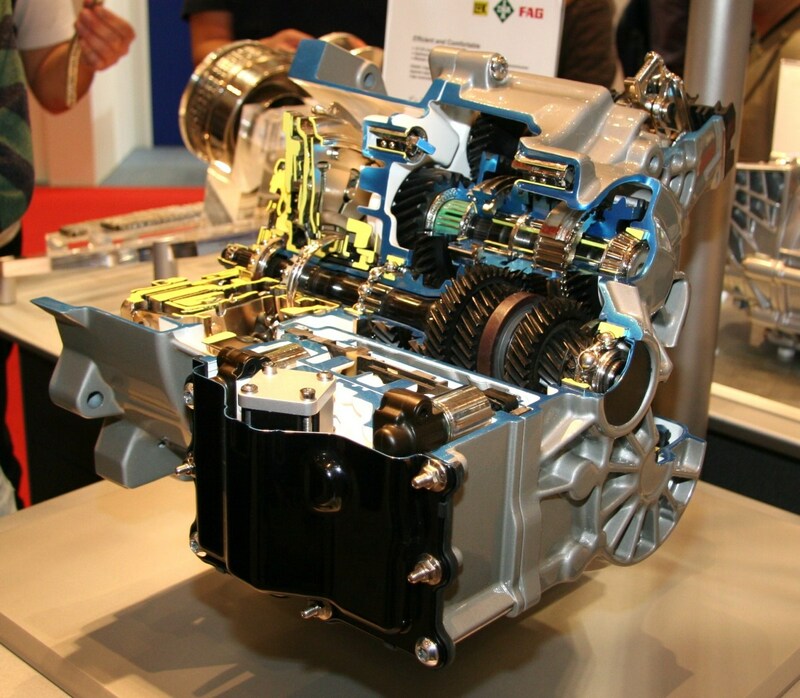 Indeed, the 6HP transmission found its home in many models of BMW, Land Rover, Jaguar, and even some Volkswagen and Audi vehicles, and this is by no means a comprehensive list. But, as with all mechanical components, things can and will go wrong with enough time, and the 6HP has been around long enough to have developed a grab bag of its own common faults. This article is going to focus on one particular fault that is something of a nightmare, and that is the dreaded “E Clutch” fault. What is the E Clutch? 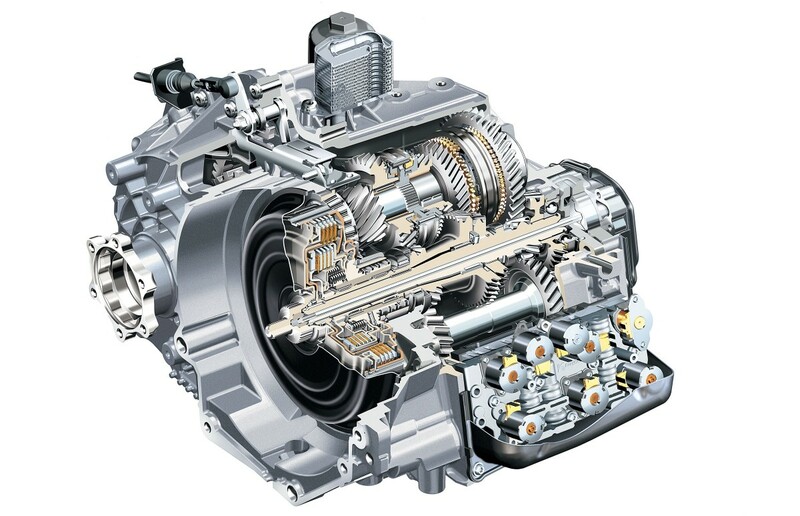 The E clutch is a small clutch assembly near the front of the transmission. The clutches are labelled A through E, and for the most part are laid out in order from front to back. The E clutch is the odd one out, sitting inside the A clutch assembly. 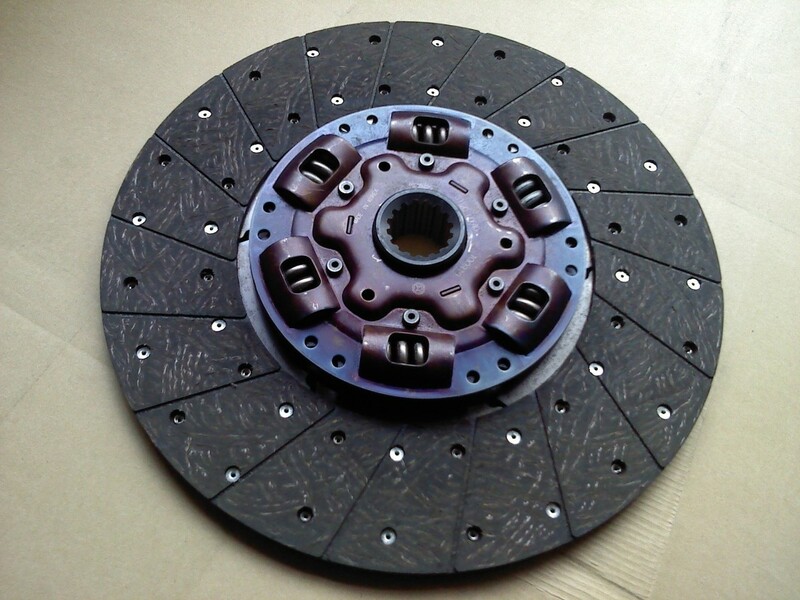 The E clutch is not responsible for a specific gear, but rather is engaged in conjunction with other clutches to achieve a particular gear ratio. This clutch only affects the higher gears, and doesn’t even come into play until the transmission shifts into fourth gear. What is the E Clutch Fault? Most of the time, the E clutch fault manifests itself in the form of your vehicle going into “limp” mode, possibly displaying something like “Trans. Prog Failsafe” on the dashboard, though different vehicles have different ways of telling you they’re in limp mode. When this happens, the transmission will be locked into a single gear—usually third—and you will be unable to change gears, even manually. In the most common form of this fault, you will often be able to cycle the ignition, restart the vehicle, and the vehicle will come out of failsafe. Unfortunately, the fault will nearly always come back at some stage, either the very next time the fault condition is reached, or intermittently. As you should probably have guessed by now, a diagnostic scan of your vehicle will reveal that the problem centres around the E clutch. You will likely find a code (or multiple codes) with descriptions along the lines of “E Clutch Ratio”, or “E Clutch Monitoring”. The actual wording of the fault code will vary depending on what machine or fault code dictionary you are using, but the important part is that the E clutch is mentioned. This is happening because the control module (also known as “mechatronic”) has noticed an unacceptable variation between the expected behaviour of the transmission and the actual behaviour at the time that E clutch is engaged. Unfortunately, as the control module’s ability to fault find is limited to checking gear ratios, it doesn’t really help us identify why the E clutch is misbehaving, and that’s what we’re going to look at in this article—the myriad of things which can cause the E clutch to fault. Note: This article is referring to cases in which the only fault in the transmission is the E clutch. 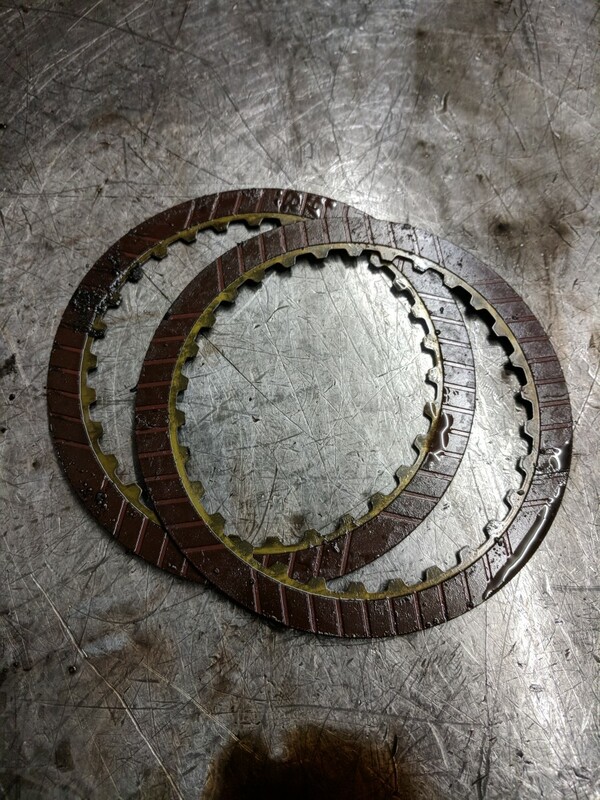 If there are other faults logged alongside the E clutch fault, it is possible that there is a wider problem affecting multiple components, including the E clutch, or that you have additional faults as well as the E clutch. Now you're up to speed, let's look at the causes of this fault. The most straightforward explanation for E clutch related faults is that the clutch itself has worn down. This does happen over time, even in a fault-free, well-maintained transmission. And, as the E clutch is worked that little bit harder than the other clutch assemblies, it does tend to be the first to exhibit symptoms of excessive wear. While this could theoretically be cured with a simple replacement of the E clutch frictions, you might struggle to find an automatic transmission builder who will just replace those frictions and not, for example, the whole assembly. 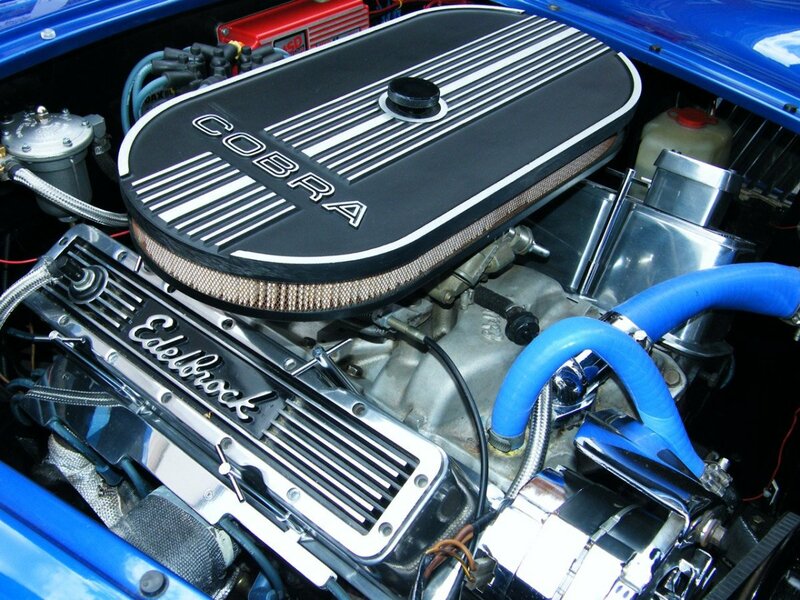 In cases where the E clutch has worn out excessively, possibly burning out entirely, it may be necessary to change the filter and transmission fluid to cleanse the transmission of the debris from the burnt out clutch. In such cases, you may find the vehicle has no higher gears at all, and simply revs higher when shifting into fourth or fifth. The tricky part is that, even if the clutch appears to be worn, there is no guarantee that it is a simple matter of wear and tear—the clutch could have been excessively worn by other faults. Read on. There is a bush in the centre of the E clutch that is responsible for holding part of the assembly steady as it rotates. Over time, this bush wears down and allows the related components to “wobble”. 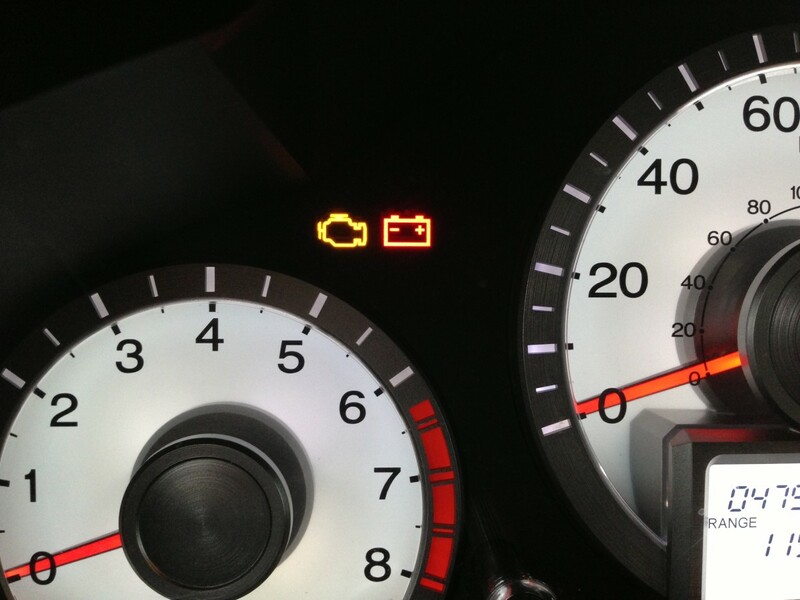 This can cause the control module to read the E clutch as slipping, and report a fault. 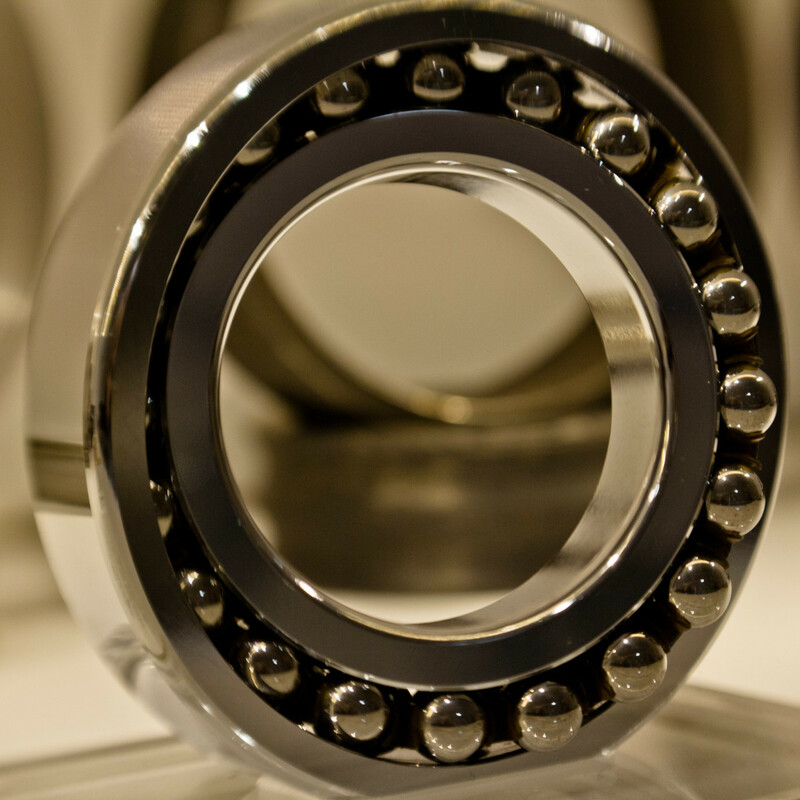 The two clearest ways of identifying excessive E clutch bushing wear are to either remove the assembly and try the components loosely together. If the intermediate shaft (which sits inside the E clutch) has too much lateral movement when seated, the bush needs replacing. The other method is to look at the frictions in the E clutch itself. A clear sign of excessive bush wearing is the topmost friction—and only the topmost friction—being visibly worn around the outer edge. This happens as the intermediate shaft moves from side to side, tilting the frictions and causing the top friction to receive more wear around the outer edges. In this case, the minimum that will need doing is a replacement E clutch bush, though frictions may also need replacing. Counterintuitively, this bush is in the pump assembly, rather than the E clutch. Like the aforementioned E clutch bush, the job of this one is to hold components stable as they rotate. This time, however, the component is input shaft, which is directly connected to the E clutch. 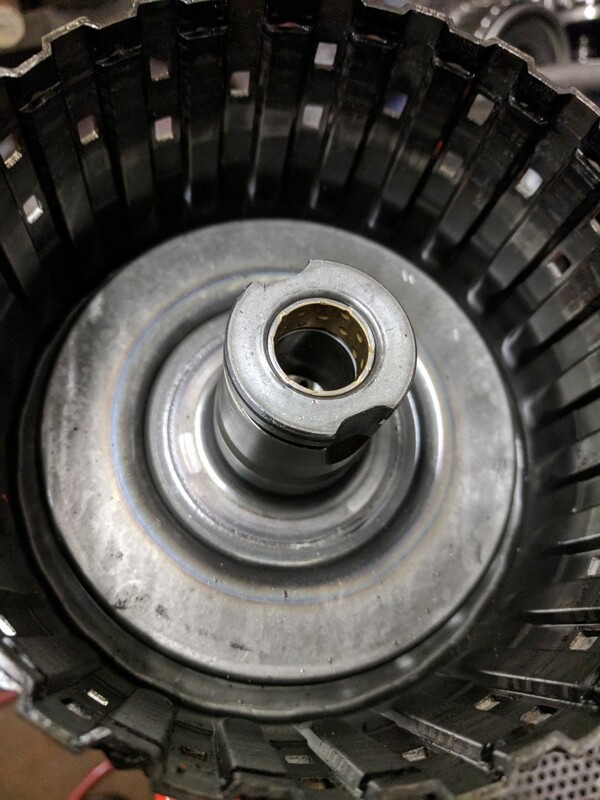 There are oil feed holes in the input shaft that feed the E clutch, the excessive wear of the stator bush allows the input shaft to move laterally, weakening the seal around these holes and allowing fluid to slip by. This reduces the force with which the E clutch is applied, allowing it to slip. Obviously the stator bush will need replacing in this situation, however it may also be necessary for the E clutch frictions to be replaced if this fault has been left uncured for too long. The basic method in which an automatic clutch assembly works is by compressing a stack of metal plates together. In doing so, the plates “lock”. This is achieved, in the case of the E clutch, via a sealed piston at the base of the E clutch drum. Hydraulic fluid is pumped into the base of the drum, causing the piston to rise upwards and compress the plates. This is a high pressure affair, and any leakages in that hydraulic oil flow (such as the one mentioned above) will cause the piston to fail to apply properly. Or at all. One such cause of reduced hydraulic pressure that I have seen on a few occasions is a crack in the E clutch drum or lower piston, allowing hydraulic fluid to seep through. The severity of this fault varies. I have seen this fault appear as just a small over-rev (also known as a flare) going into fourth gear, caused by a hairline crack in the E clutch piston. I have also seen a complete loss of the higher gears that turned out to be caused by the entire base of the E clutch drum snapping off! Needless to say, if this fault occurs, you’ll need to replace the E clutch assembly at the very least. The video above shows how you can air test the E Clutch without removing the transmission (though you'll have to remove the valve body). This allows you to see if the E clutch is applying, though it wouldn't necessarily rule out a fine crack or slightly worn seal. Sticking with the theme of leaking hydraulic components, the valve body is the control centre of the transmission, directing the flow of hydraulic fluid in the gearbox via a series of valves and springs and check balls. Over time, these valves can wear down, allowing fluid to leak by their respective valves and causing much the same problem described in the above two faults. This tends to happen with the E clutch more than the other clutches due to the increased frequency with which the E clutch is applied. When it does happen, it may be possible to buy a repair kit and bore the valve body out, however it’s more likely you’ll need to replace the valve body entirely. Along the same lines as the above worn valve body—though not quite as distressing in terms of material costs—there are some perishable parts within the valve body that can wear down and cause the dreaded E clutch fault to occur. The two main culprits that may bring about this fault are the separator plate, and the E clutch accumulator. The separator plate is a large metal plate that—you guessed it—separates the two halves of the valve body. It is has gasket materials printed on the plate in order to keep the oil from seeping between hydraulic channels, and that gasket material can deteriorate over time. Similarly, the accumulators in a 6HP valve body are essentially a rubber cushion for smoothing out the flow of hydraulic fluid during a gear shift. Over time, that cushion gets a little flat, and the smoothness of the shifts becomes harsher. In some cases, this can cause the E clutch fault to rear its ugly head. Note: The valve body contains a number of very small components that are just begging to fall out when the unit is dismantled. Unless you’re an experienced builder, or you have a sense of adventure and a rebuild manual, it’s best leaving this kind of job to a transmission expert. And finally, if all else fails, it’s time to look at the mechatronic. This is essentially a computer that controls the transmissions, decides when to shift gears and which gear to shift into. 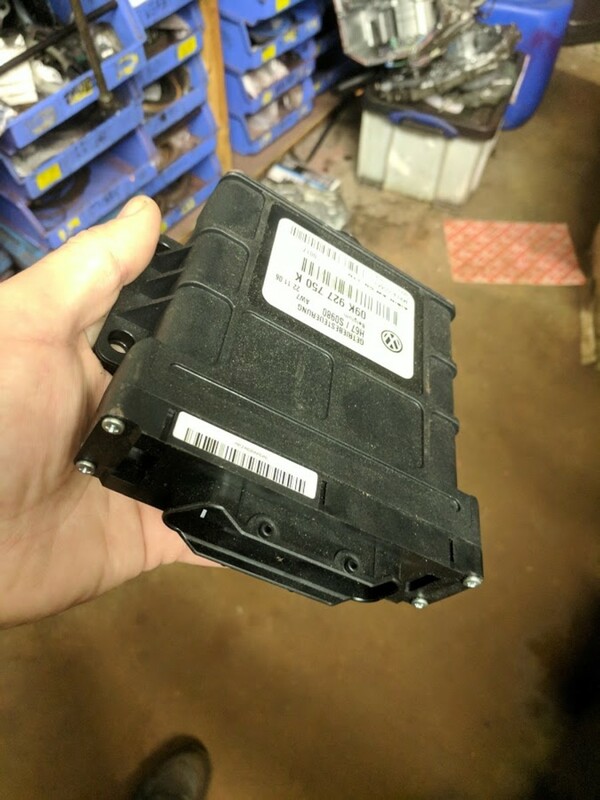 Everything that your transmission starts with this module, even when you change gear manually, so if it goes faulty, it can manifest in any number of ways. Including the E clutch fault. When this happens, you may want to consider trying a few things before jumping for the very expensive replacement mechatronic, such as resetting the adaptations or performing a software update. You’ll probably need the help of a dealer or specialist for this. It’s also worth noting that the mechatronic and valve body come together as one product—you can’t buy one without the other—so a replacement mechatronic would eliminate this and the previous two faults. IMPORTANT: If you suspect a faulty mechatronic, make sure there are no potentially related faults in the vehicle. This includes things like wheel speed sensors, airflow sensors, any problems with voltage, and anything to do with communication between systems. 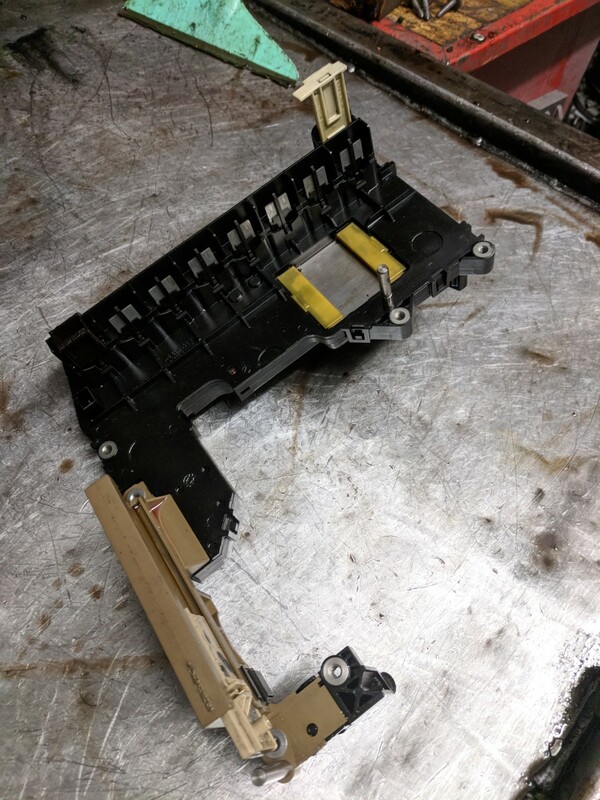 Any of these faults could cause the transmission to misbehave, and you don’t want to find out the problem was caused by a faulty ABS sensor after you’ve purchased a brand new mechatronic unit! It’s an unfortunate fact that it’s almost impossible to diagnose the cause of the E clutch fault with 100% certainty. I have known these transmissions be stripped down, and strong evidence found of damage to the E clutch bushing and frictions found, and the fault still being caused by the mechatronic or valve body. Clues can point you in the right direction, but practically speaking you might be as well just closing your eyes, pulling one of the possible causes out of a hat. In short, if you come across this fault, you should be prepared for the possibility that you will need to fork out for a full overhaul and a new mechatronic.